I really did not realize how much storage was underneath until I later tried to move it all. Once I realized that the new TV that I picked up on a Black Friday special was not going to fit, I only had a few options. 3. Somehow make the original unit work. I choose option #3. 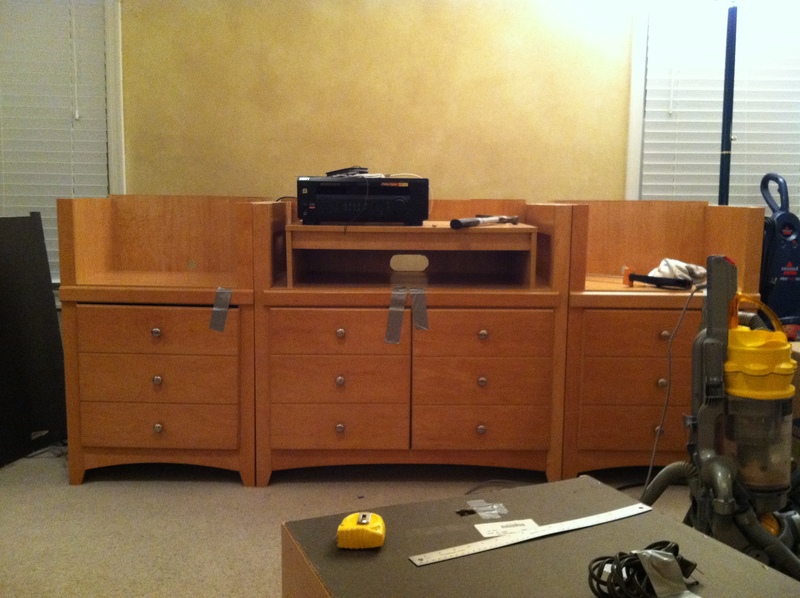 Right there in the middle of the family room, I laid each piece down and started to saw the the tops off. Lining up to saw the tops off. This produced a large amount of dust even while holding the Dyson close to the saw trying to capture the flying wood particles. I did a good job getting even cuts on the 3 separate pieces and I re-positioned them in their original location. The Center’s width was about 7′ across.I bought a piece of birch plywood and some pine trim. 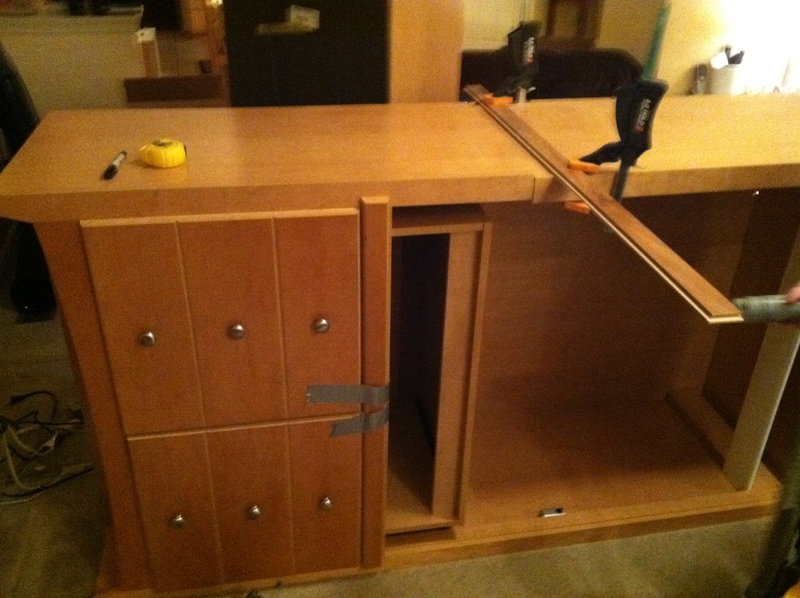 I cut the plywood to size and tacked the trim around the new wood. Amazingly the stain/varnish I found matched the old unit perfectly and I placed it on top. The final piece turned out very nice. 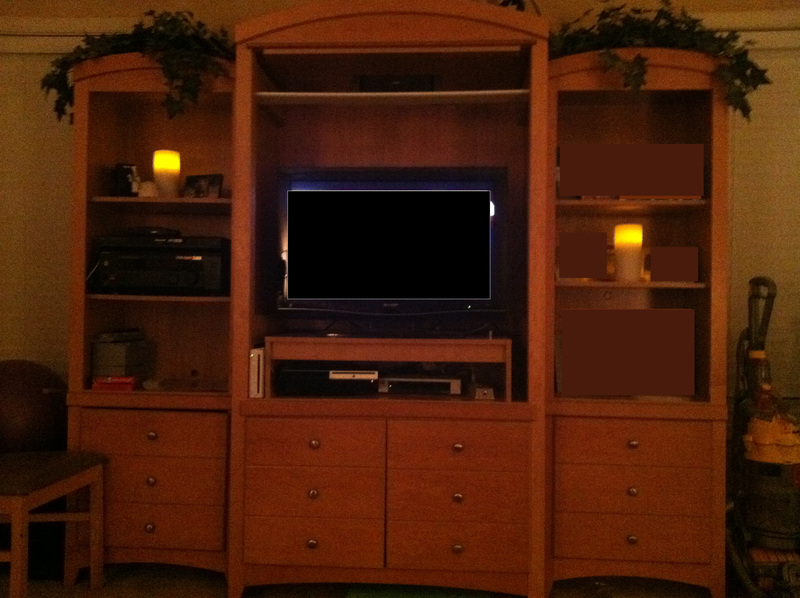 For only a few dollars and some time I was able to use my new TV and retain all the storage that I so desperately need. 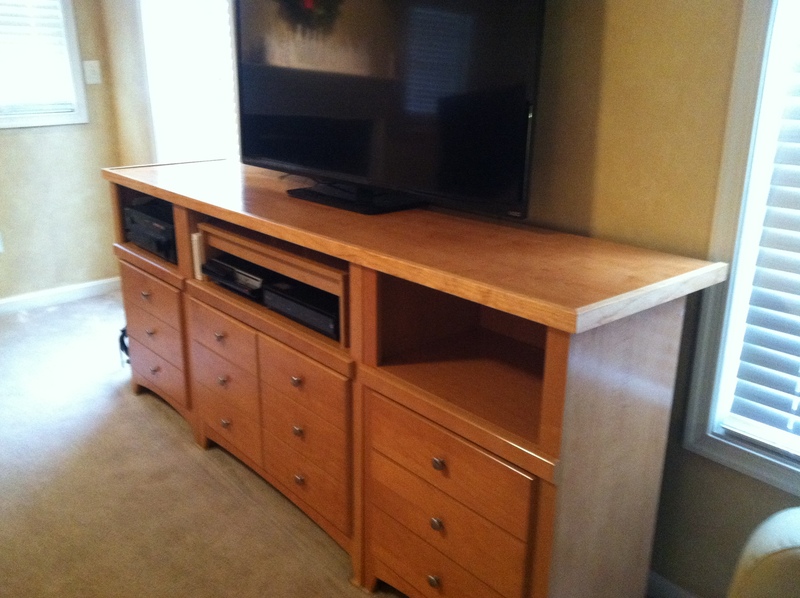 This entry was posted in Objects and tagged entertainment center, Remodel, repurpose. Bookmark the permalink.